When I was a child, my parents found special ways to make me feel loved on Valentine’s Day. They couldn’t afford much, but they always did something to make us feel loved. As a mother my children are the most important little people to me and I want to continue this tradition, and make Valentine’s Day special for my children also. I hope you love some of our kid friendly Valentine’s Day Ideas we do here at our home. Make this year memorable and fun for your kiddo. Make your kids a special breakfast with heart pancakes. All you need is a metal heart shaped cookie cutter and your child’s favorite fruit. Spray the cookie cutter with non-stick spray, set on griddle, and pour in the batter. Make coupons for daddy dates to the pet store, mommy time to get ice cream at their favorite restaurant, movie night and sleep over with mommy and daddy in the living room. Your kids will love the special one-on-one attention. If you live in a warm climate, pack a picnic lunch/dinner and take your kids to the park for a special treat. This is not only fun for a Valentine’s Day Idea, but it is also perfect for other times of the year too. My kids love when we do this kind of date! Other fun Valentine’s Day ideas are Make colored ice cubes out of heart or regular ice cube trays using red or pink food coloring. Then drop it in their bath to make it fun. Add in some bathtub crayons or even shaving cream with food coloring to color the bathtub walls. Don’t worry, it will come off the bath walls. Try my Homemade Bathroom Cleaner for this. Just remember to use a dark colored towel for drying off the kids to prevent staining of light colored materials. If you want a fun Valentine’s Day inspired snack for your kids, then make them muffins or cup cakes, but do it in a heart-shaped cupcake or muffin pan. Do you want cute Valentine’s Day ideas for the kids that are fun, but will also keep them busy for a bit? Then this idea just might be the one! Start scheming with your significant other, and devise a scavenger hunt. You can mimic Easter by providing heart-shaped baskets or red knapsacks that they can fill with all the goodies they find in the house or around the yard. Another modification is to set up one big Valentine’s Day treasure hunt they must to work together to find. If your children are old enough, perhaps you can give them free rein to seek out the treasure on their own while you prepare a special Valentine’s Dinner. Some gifts or special treats I love to give my kids each year are stuffed animals. This year my son will receive a doggy with hearts all over it, and my daughters will get a giraffe, bear, and wolf. Of course these stuffed pets are Valentine’s Day themed, and my kids love to cuddle and sleep with their stuff pets. They have quite a collection, because I love them about as much as they do! Earlier, I shared about making a heart shaped breakfast, but let’s say you don’t have to tools to do it. Then create cute heart sandwiches by using a knife. You can make your kids favorite Peanut Butter and Jelly or maybe grill cheese. The options are endless to create a special memories for your child. Valentine’s Day ideas can include educational fun. My kids are huge bookworms. I love watching my kid’s devour a book, and one of the surprises I love to give is books. Usually, I add in some stickers in also. This not only helps foster the love of learning, imagination, but the stickers are a fun way they can decorate papers or use in crafting. If you’re still leaning toward cheap Valentine’s Day ideas, then you might want to try this. Have each family member draw another’s name from a hat. Provide $5–$10 per individual and encourage them to pick gifts for their sibling or parent that signify that they not only love them, but that they also recognize what makes them unique. Then be sure to have everyone make Valentine’s Day cards to go along with the gifts that will be presented. This is an excellent lesson in math and social skills, as the children will have to stay within budget and also think carefully about the personality and interests of their recipient. One things my girls LOVE to do is color. We have tons of coloring books, blank paper and crafting supplies. They could do this for hours and love it even more when we all get involved. If you don’t have all the supplies you can find free coloring pages on the Internet. All you need to do is print and start coloring. All you need to go is search for Valentine’s Day coloring pages and several sites will pop up. 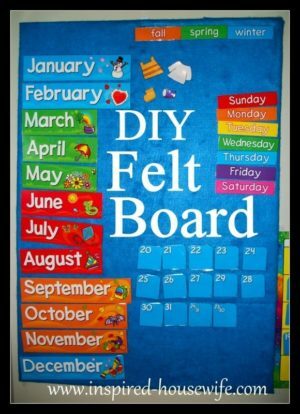 Here is one craft I love to do with my kids. This concludes my list of Valentine’s Day ideas for kids and even the entire family. I hope you’re able to put some of these ideas to good use! There are several that you can combine and fill the whole day with Valentine’s Day activities. Feel free to share this post with your friends and family. Let me know in the comments below if you have other family-focused and cute Valentine’s Day ideas. What other special Valentine’s Day ideas do you have? These are some great ideas girl! Hope you have a great Valentine’s Day! 🙂 Thanks for sharing! Thanks Shannon for the feedback hope you and Frank have a wonderful Valentine’s Day too.